Strom Thurmond High School announced that it has hired Christopher R. Zylstra as its new varsity baseball coach. In a statement released today, the school indicated that Coach Zylstra is from Wyoming, Michigan and has just graduated from Aquinas College in Grand Rapids, MI earning a Bachelor’s Degree in Secondary Education with an emphasis in Social Studies. Coach Zylstra will also teach Social Studies at Strom Thurmond. Coach Zylstra played prep baseball at Wyoming Park High School where he was a team captain and starting first baseman. He played under well known Coach Ron Engels at Wyoming Park who is 9th in all time wins in Michigan. Coach Zylstra has coached under the tutelage of Coaches Ron Engels (Wyoming Park), Shawn Venstra (Wyoming Park), Charlie Ham (Allendale), Don Wojcynski (Grand Rapids Catholic Central) and Brent Serba (Grand Rapids Catholic Central). Coach Zylstra moved up the coaching ladder every year while increasing his knowledge and coaching ability by attending clinics and working with numerous coaches around the area. 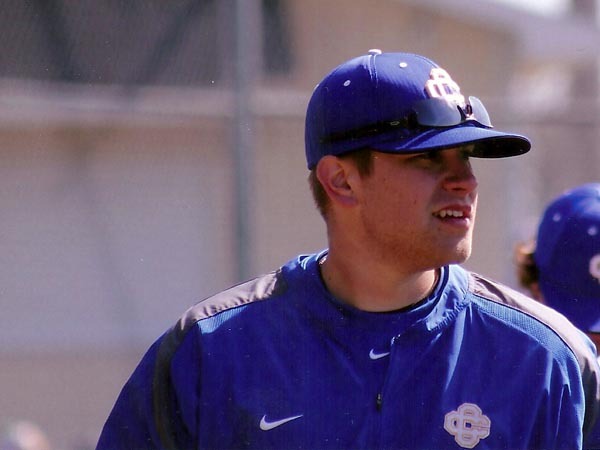 He is a member of the Michigan High School Baseball Coaches Association and has attended the clinic for the past 4 years where he has listened to lectures by some of the best college and high school coaches in the country. Coach Zylstra has a combined coaching record to date of 85-30-2 which is a .739 winning percentage. Coach Zylstra is an exciting young man and is eager for Strom Thurmond to win its second state championship in baseball. He plans to move to our area at the end of the month and will be attending the school board meeting in August to be officially introduced to the school board members. He will also be available to meet at a drop-in planned for new employees of the district which is scheduled for August 2, 2012 at Merriwether Elementary School from 5:00 p.m. – 7:00 p.m.
One might think that Coach Zylstra will be eager to return to Michigan since Strom Thurmond is so far away from his hometown. However, he quickly dispelled any notion that he would be moving back.